From studio lofts which can easily sleep 2-4 people up to 4 and 5 bedroom homes and townhomes that can accommodate 10-12 City Concierge offers prices that fit any budget. the sooner you plan your vacation, the better the selection. Last year, Mammoth was a sell out every weekend from the middle of December through Spring Break. yes, we have become that popular. 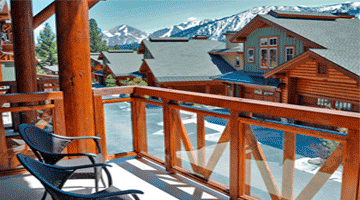 Mammoth Mountain has again been listed in the top 10 resorts in the United States. this is because we have the longest ski season, a great mountain with a top notch grooming squad and because we are still holding on to our style charm. Yes, our properties are modern, have all the conveniences you would expect and come with budgets that can work for everyone. City Concierge can also set you up with unexpected pleasures such as massages in your room, early check in and late check outs and daily maid service. Now that's a vacation. Like last year, this year looks to be a great snow season, and you won't want to be late to the party. Let us plan your trip with one call, take care of everything you need and get you set up with the perfect vacation rental at Mammoth Mountain or in the town of Mammoth Lakes. Not familiar with us? Look up our reviews on Yelp!